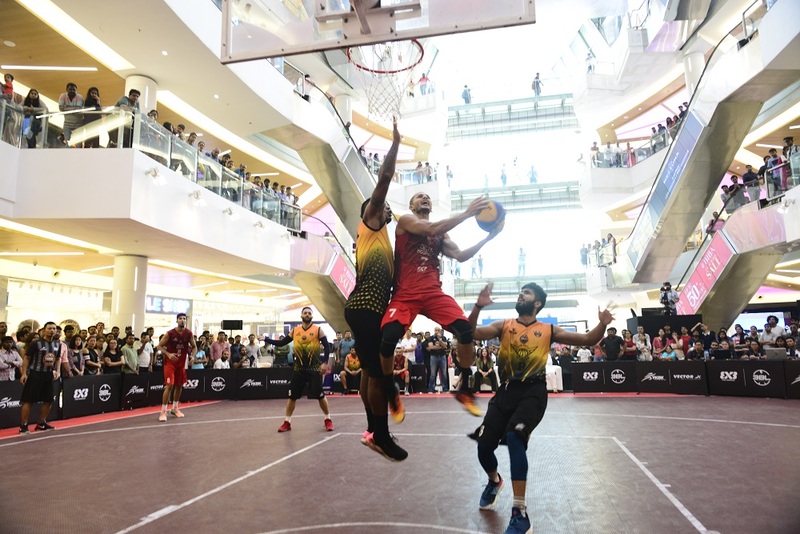 Mumbai, 13th July 2018: As the inaugural season of the FIBA-recognized 3x3 Pro Basketball League enters the second leg, three rounds provide a fair chance for ‘Mumbai Hustlers’ to overtake the two leading teams, ‘Delhi Hoopers’ and ‘Ahmedabad Wingers’. The fourth round of the highly anticipated league will be held in Chennai on the 21st and 22nd of July, 2018. 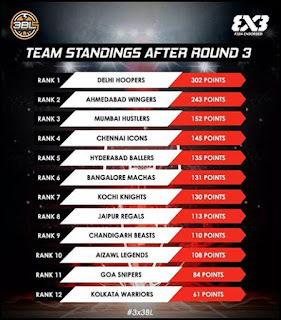 The ‘Delhi Hoopers’, with 302 points, lead the scoreboard currently, followed by ‘Ahmedabad Wingers’ with 243 and ‘Mumbai Hustlers’ with 152. 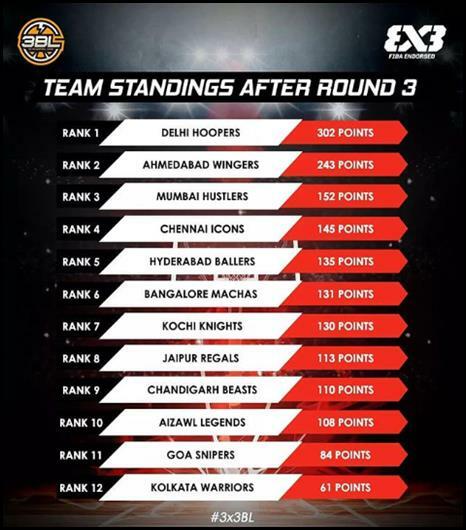 The ‘Mumbai Hustlers’ have been consistently doing well in the previous rounds and have a high chance to outperform ‘Delhi Hoopers’ and ‘Ahmedabad Wingers’ in the upcoming three rounds in Chennai, Bangalore and Mumbai. They yet hold a very strong chance of giving ‘Delhi Hoopers’ and ‘Ahmedabad Wingers’ a tough fight by displaying exceptional skills to their advantage to take the top spot. Amit Sehrawat has been the star player for ‘Mumbai Hustlers’. Siddharth Reddy has been a constant support system for Amit with incredible assists in the previous games. 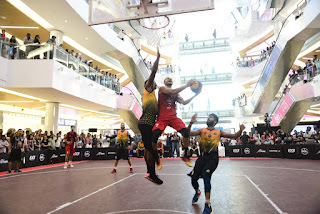 Amit’s gameplay has the potential to turn around the scoreboard for Mumbai Hustlers, along with aiming to be one of the top scorers of the first ever FIBA recognized league in India. Although there would be immense pressure as they have just three more rounds in hand, ‘Mumbai Hustlers’ aim for the title of the league for this inaugural season.